Beeline Conference – Connect. Learn. Succeed. The 2019 Beeline Conference is unlike anything else available to you right now. We are bringing together a range of experts from well-known organizations throughout the industry, all in one place. As an attendee, you will have the opportunity to network with peers and learn from other clients who are utilizing Beeline's technology to optimize their workforce. Doug Leeby is the president and CEO of Beeline, a global SaaS technology company and solution provider for sourcing and managing the extended workforce. With offices in the US, UK, Australia, and the Philippines, Beeline serves the world’s largest and most respected brands by managing over $40B in contingent workforce spend. Recognized as an industry innovator and customer champion, Doug has led Beeline to become the largest independent provider of solutions for managing all categories of non-fulltime talent, including temporary staff, professional contractors, service workers, consultants, project-based workers, and independent contractors. Doug is in his 17th year at Beeline and is based at the company’s headquarters in Jacksonville, FL. He has been included on Staffing Industry Analyst’s list of the “100 Most Influential People in Staffing” every year since 2012. Doug believes strongly in culture and through his servant-minded leadership has created a corporate culture built on trust and diversity. Doug attended Vanderbilt University where he earned his BA in History and his M.Ed. in Human Resources. He enjoys learning, interacting with interesting people, the outdoors, and any and all time with his family. As an acclaimed workforce researcher, thought-leader and author on management and employability for more than 20 years,Eric Chester has cracked the code on the tactics and strategies companies that are recognized as “best places to work” in their respective industries are using to win the talent wars. Chester is the author of 6 leadership books and, as a hall-of-fame speaker, Eric has delivered more than 3000 paid keynote speeches on three continents. His clients include Harley Davidson, McDonald’s, AT&T, and ALCOA. This panel discussion will help you understand – based on the experience of experienced professionals who have been in your position – how to obtain and organize the information and support you will need to create a successful services procurement business case. This discussion will cover important considerations for your global expansions. These include tangible differences, such as languages, laws, and tax structures, that must be considered. They also include cultural differences, such as change management processes and procedures that can vary dramatically from country to country. In this discussion, representatives of contingent workforce management programs, MSPs, and talent pool providers will address items ranging from the benefits of direct sourcing and talent pools to the practical aspects of establishing and curating private talent pools and the risks and rewards of connecting to online talent platforms. This panel will discuss how talent pools have become a game-changer for these organizations. This breakout session will feature a panel discussion of gig workers, the risks they can create for the organizations that use their services, and the ways and means companies have adopted to identify, track, and manage ICs/freelancers working on short-term “gig” projects. Colleen Tiner is SVP Strategy at Beeline, a market leader in software solutions for sourcing and managing the extended workforce. Since joining Beeline in 2005, she has led product strategy, planning, development, and marketing through the launch of many new successful products and offerings. In 2016, Colleen led the development and launch the one of the most disruptive industry innovations, Beeline’s exclusive Self-Sourcing solution. She was awarded the 2015 Spirit of Rosie Glass Ceiling Award in her home town of Jacksonville, Florida in recognition for paving a path for future women executives and was recognized in Staffing Industry Analysts’ Global Power 100 List of Women in Staffing for 2015 and 2016. Industry watchers describe Colleen as a visionary leader in the VMS segment and in the emerging world of online sourcing platforms. Michael Madden is Chief Technology Officer for Beeline. Michael is a highly accomplished and experienced product and technology executive with expertise in the application of agile methodologies and digital transformations. He has more than a decade of C-level experience in multi-billion-dollar companies, including EBSCO Information Services and CA Technologies. Michael is an expert in product and technology strategies for both enterprise and SaaS-based applications and has demonstrated success in creating and implementing software development lifecycles that incorporate continuous integration, continuous delivery, and continuous operations. Michael is a graduate of the University of New Hampshire with BS and MS degrees in math and electrical engineering. This breakout session will discuss aspects of our Services Procurement solution that you may not currently be using. Panelists with extensive knowledge and experience in the operation of VMS service procurement capabilities will discuss the practical use, operation, and benefits of their solutions’ more advanced features. Jen Downs, Geometric Results Inc. Hear how companies use formal program maturity assessments to determine strengths and weaknesses and to establish priorities for program growth and expansion. This session will help you determine where you are, where you want to go, and what you will need to do to get there. Is Your Program At Risk? This breakout session will discuss the variety of risks inherent in a CW program and what can be done to mitigate those risks. 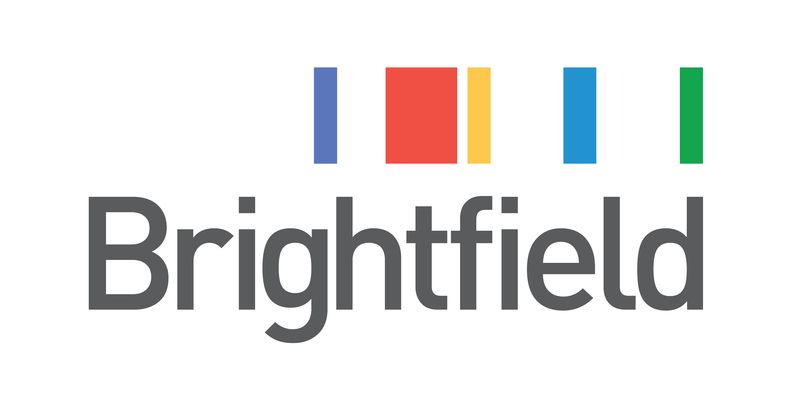 Join this discussion to learn what to watch out for and to hear what your peers are doing to monitor, control, and minimize risks within their contingent workforce programs. In this breakout sessions, our panelists will discuss how they identified and reined in rogue spend and provided better talent acquisition and management processes for their organizations. been featured in The Wall Street Journal, Harvard Business Review, CNN, and The New York Times. He is the father of four, a passionate Detroiter, and yes, he still plays a mean jazz guitar. The 2019 Beeline Conference brings together speakers that will influence you both personally and professionally. You will hear how we have grown over the past year, gain advice from your peers, and see a few surprises that just might change your perspective on everything! As the leader of the SOW Practice at GRI, Jennifer works closely with our clients and internal teams to provide strategic solutions related to SOW management. She has over 20 years experience in contract negotiation and strategic supplier management as well as contingent workforce program management. Jennifer has worked previously as a Global Category Manager for a large organization and this experience affords her a unique perspective on the needs and challenges of our clients. As Head of the Americas Contingent Workforce Solutions at Alexander Mann, David collaborates with clients to stay ahead of the seismic shifts happening in attracting, engaging and retaining talent to meet business objectives. David uses his “War for Talent” experience to focus organizations on making the best most coherent use of the talent that can is willing to promise itself to your brand. He understands the proven techniques for successful Contingent and Permanent Direct Delivery models to design integrated and scalable solutions. Jen Spicher has over 20 years of experience in the workforce solutions industry and delivers strategy and thought leadership in a variety of solutions including global MSP/VMS, RPO, IC, Payroll, Talent Pools and Staffing Services. Before joining TalentWave, Jen was Vice President and Practice Lead for the MSP/RPO practice at KellyOCG. While at Kelly, Jen also managed the VMS partner relationships. Currently, as EVP and head of Sales at TalentWave, Jen delivers complex solutions to clients across all industries. She passionately leads her team of wavemakers who are experienced and pragmatic industry solutions experts committed to supporting clients and partners through the evolution of their talent engagement strategies. Tammy oversees KellyOCG global operations with responsibility for close to $9 billion in spend under management. She is a recognized industry leader known for driving operational excellence, and delivery of best-in-class solutions for the clients, suppliers, and talent who call KellyOCG their partner of choice. She ensures the flawless execution of KellyOCG’s practice areas and solutions including: MSP, SOW, RPO, payroll, IC compliance, and contingent search. Tammy began her career at Kelly in staffing as a recruiter 20 years ago. Now a senior executive responsible for driving transformation in a rapidly changing industry, she continues to drive innovative strategies focused on talent. Tammy’s attention is on the future work and driving talent attraction strategies that reflect the emerging ways in which today’s talent choose to work. She’s ditched the script on the old ways of thinking and is committed to bringing cutting-edge thinking to KellyOCG’s global delivery models. Josh Linkner – who started his career as a jazz guitarist – personifies innovation, entrepreneurship, and breakthrough disruption. He has been the founder and CEO of five tech companies, which sold for a combined value of over $200 million. Josh is a New York Times Bestselling author, and an internationally recognized expert on innovation and applied creativity. His first book, Disciplined Dreaming: A Proven System to Drive Breakthrough Creativity (2011), become one of the most definitive works on the topic of innovation, and has since been published in 13 languages. His other two books, The Road to Reinvention: How to Drive Disruption and Accelerate Transformation (2014), and Hacking Innovation: The New Growth Model from the Sinister World of Hackers (2017), have both received critical acclaim and have pushed the boundaries of business leaders worldwide. Josh is also the Founding Partner of Detroit Venture Partners, investing in and/or mentoring over 100 startups. Today he serves as Chairman and co-founder of Platypus Labs, an innovation research, enablement and consulting firm. Josh has twice been named the EY Entrepreneur Of The Year and is a President Barack Obama Champion of Change Award recipient. He is a regular columnist for Forbes, the Detroit Free Press, and Inc. His work on innovation has been featured in The Wall Street Journal, Harvard Business Review, CNN, and The New York Times. He is the father of four, a passionate Detroiter, and yes, he still plays a mean jazz guitar. Doug Leeby is the president and CEO of Beeline, a global SaaS technology company and solution provider for sourcing and managing the extended workforce. With offices in the US, UK, Australia, and the Philippines, Beeline serves the world’s largest and most respected brands by managing over $40B in contingent workforce spend. Recognized as an industry innovator and customer champion, Doug has led Beeline to become the largest independent provider of solutions for managing all categories of non-fulltime talent, including temporary staff, professional contractors, service workers, consultants, project-based workers, and independent contractors. Doug is in his 17th year at Beeline and is based at the company’s headquarters in Jacksonville, FL. He has been included on Staffing Industry Analyst’s list of the “100 Most Influential People in Staffing” every year since 2012. Doug believes strongly in culture and through his servant-minded leadership has created a corporate culture built on trust and diversity. Doug attended Vanderbilt University where he earned his BA in History and his M.Ed. in Human Resources. He enjoys learning, interacting with interesting people, the outdoors, and any and all time with his family. 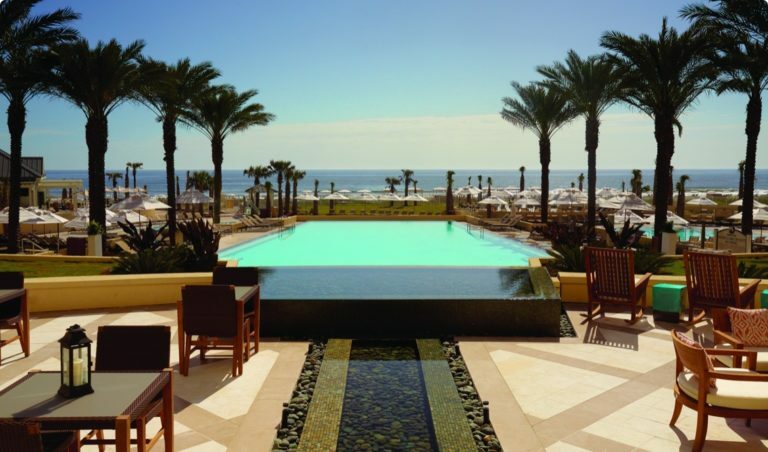 Beeline is excited to bring our annual conference back to Amelia Island! Omni Amelia Island Plantation Resort is nestled on 1,350 acres at the tip of a barrier island just off the Northeast Florida coast. Enjoy luxurious oceanfront accommodations, world-class resort pools, championship golf, full-service spa, endless dining options and family-friendly activities. Want to attend but need additional information to share with your manager? Participate in interactive educational sessions that will provide meaningful and useful information to help you improve your program and increase your cost savings. Obtain expert advice on how to deal with new challenges and issues facing your program and the industry. Get first-hand news about new initiatives and goals that we have set as well as the steps we are taking to maintain our position as an industry leader and your trusted partner. Join networking events with Beeline personnel and fellow conference attendees where you will have the opportunity to speak with others that may be facing similar issues as your organization and discover solutions you may not be aware of. "Great Conference! Really good keynote speakers, Tech Expo, and networking. One of the best I have attended in the past few years." Our special conference group rate is $269 per night plus taxes & fees at the Omni Amelia Island by registering for the conference through Eventbrite. If you are a managed service provider, staffing supplier or other vendor, please email conference@beeline.com for registration as limited space is available. To us, this conference is more than just an event - it’s an experience, one that will influence you both personally and professionally. Not only will you leave feeling reinvigorated and prepared to take on the challenges that lie ahead, you will also leave with the support of new contacts and the Beeline family to help you succeed, every step of the way.